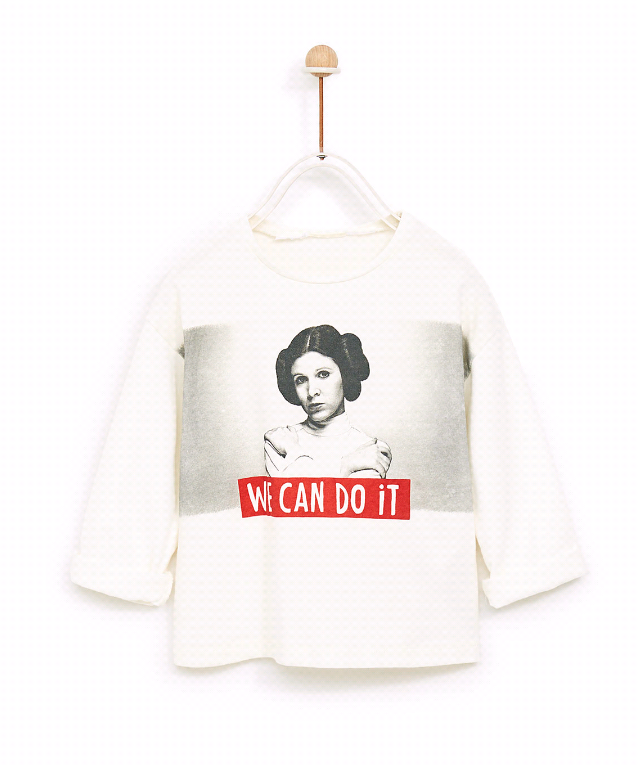 New in Zara, this week a Princess Leia long sleeved t shirt. I love it. If there is ever a Princess I wouldn’t mind seeing on a t shirt, it’s Leia. Strong, leader of the rebellion and can sort things out. Not keen on the red slogan execution but it’s punchy enough for kidswear. I’m a font snob and the text is just not quite right but I’ll let it slide as the message is fantastic. A fantastic price point of £6.99. Very competitive with other slogan and branded t shirts on the high street at the moment.